For one week each fall, hypnotic visuals transform the interiors of nightclubs, art centers and local bars all over the 'Burgh as emerging musicians from around the world perform alongside cutting-edge visual artists, creating truly original performances at Pittsburgh's VIA Festival. VIA—described by co-founder and director Lauren Goshinski as an "elastic entity"—is a creative collective, a year-round event series and an annual weeklong audiovisual festival. Its four-year-old music/new media fest, held this year Oct. 1-6, recently became the third U.S. festival to be inducted as a member of International Cities of Advanced Sound (ICAS)—joining a list that includes renowned festivals like MUTEK in Montreal, Unsound in Krakow and the SOCO Festival in Uruguay. "We feature a selection of acts that influence current music trends," Goshinski said, "and that are currently creating new waves in their field." But the music is only half the story. VIA's international reputation as a major festival stems in part from its knack for pairing musicians with stunning visual arts projects. The entirely volunteer-run fest is six days of A/V showcases, film screenings and live collaborative performances, all uniquely integrated into the city of Pittsburgh. The self-proclaimed "Festival as Laboratory" is constantly experimenting and reinventing the idea of what a festival can be in today's world. "Basically," Goshinski said, "VIA's not something we can best express in words. You just need to experience it." 9. You can become an avatar. Friday and Saturday night, festivalgoers can enter a 3D scanning station at TechShop—a community-based workshop and prototyping studio—where their faces/body parts will be scanned and rendered live to be incorporated into the video mix on the main stage. Files will be available for download after the fest as little digital mementos. There's even a raffle so you can win a 3D print of your own head. A collaboration between VIA, TechShop, CMU Expanded Theater students and a selection of new media artists like LaTurbo Avedon (an artist that exists only as an avatar), Kevin Ramser and Ben Tabas, the project is called h3D Space (Head Space) and is "VIA's most ambitious and all-encompassing visual arts project to date," sewing together curated, live and crowd-sourced visuals. Each year VIA pairs a new selection of visual artists and musicians together for one-of-a-kind A/V performances. 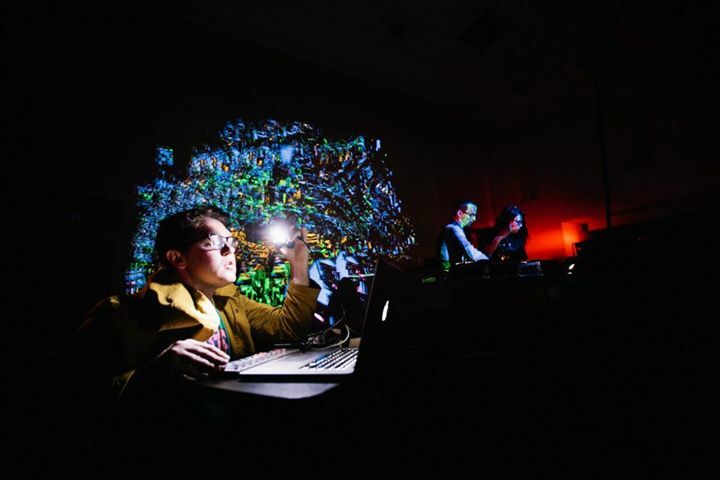 In 2013, you can expect work ranging from a sound-reactive LED sculpture to DIY screen installations and visuals powered by custom hardware and code. And the musicians are so talented (and young) that you just might feel guilty about how you spent your early twenties. The lineup is pretty far-reaching in terms of style and sound, and includes everyone from NYC's 22-year-old one-woman death industrial powerhouse Pharmakon to Sasha Go Hard, one of Chicago's budding rap princesses, to POSTLIFE, a Pittsburgh-based affiliation of bands, DJs and producers who were recently featured on Interview Magazine's Soundclouds of the Underground. 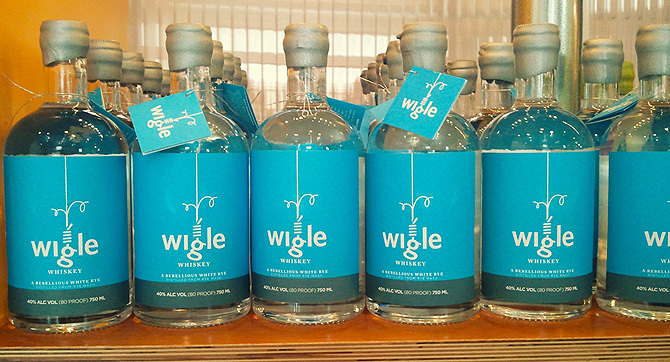 Selected by The Urbanist, all of the bars at the weekend events will be stocked with Pittsburgh's Boyd & Blair Vodka, beers from Full Pint Brewing and Wigle Whiskey—one of just a few distilleries in the U.S. that hand-crafts each of its spirits using local, organic grains. 6. Watch original, made-for-VIA material from VFiles/What the F*shion's Casey Jane Ellison and Miss Daddie. Also known as your girl Case-Case, Casey Jane Ellison is the brains behind VFiles' web series What the F*shion and Status Update, which Gawker called "the best internet videos you've never seen." Ellison teams up with Audra Wist aka Miss Daddie—an L.A.-based visual and performance artist—for guest video appearances during VIA's weekend showcases. There's no stadium seating or field to put your blanket on at VIA—and all events allow re-entry—so take a walk around the block while you're there. From intimate clubs to film houses to pop-up venues, VIA acts as a quasi-cultural roadmap through the heart of Pittsburgh's creative scenes. They also keep daytime events light, so you have more than enough hours to get your tourist fix for a well-rounded trip to the 'Burgh. Johann Sebastain Joust is an award-winning no-graphics, digitally-enabled game in the spirit of an old playground favorite: Tag. Play on the rooftop of VIA's pop-up location with friends, which coincidentally enough, is already a playground...excited yet? 3. Ms. Sharon Needles will be there. The haute horror queen/stupid genius/PBR princess herself will perform in her hometown during the opening night event at the Carnegie Museum of Art. For a variety of reasons, white men still tend to dominate the festival market, on-stage and off. And while white men are great and all, who doesn't love seeing someone non-white/gay/female/transgender throw down and kill it for a crowd of hundreds? 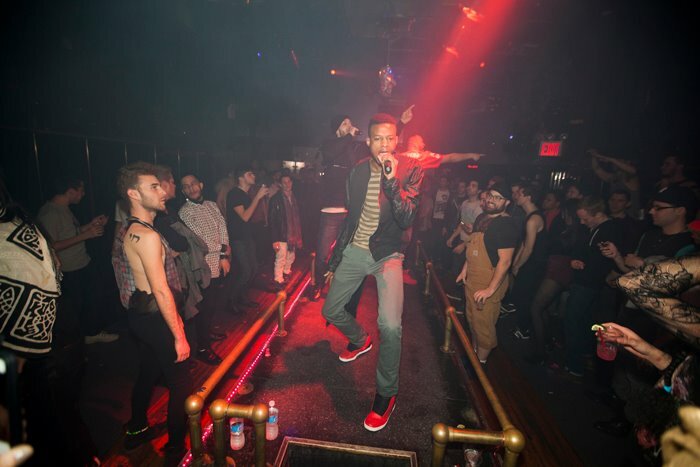 This year, VIA will feature DJ collectives Banjee Report, "a movement documenting the gay experience in hip-hop and other modern music," and Men's Room. 1. 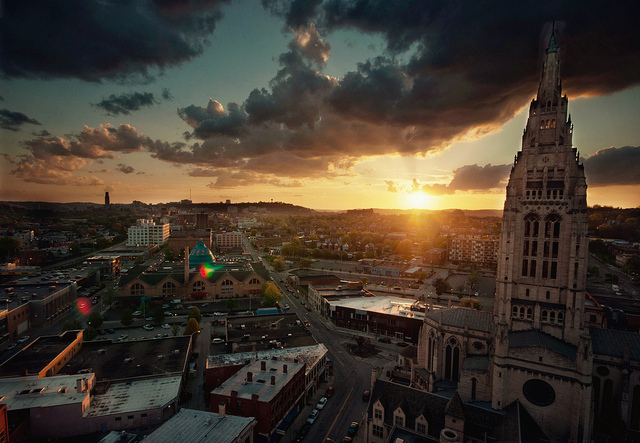 Experience a world-class art exhibit that comes around once every 4 years, the 2013 Carnegie International. "What a perfect time for people to visit, and for Pittsburgh to gorge itself," Goshinski said, "It's not often that you get the chance to pair a world-class art exhibition with a world-class music and new media festival." Bonus: You can actually afford this festival—tickets start at just $60 for the weekend. Listen to a sampler of this year's lineup here.